This meticulously maintained home suits even the most discerning buyer. Bring your checklist as this has all the must haves and many extras. 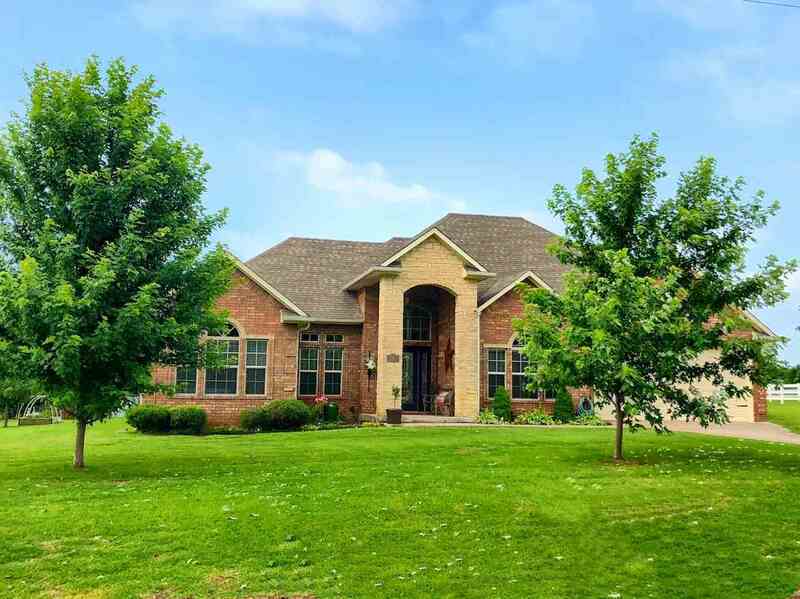 This custom built home offers 3 bedrooms, 2 full bathrooms, open concept kitchen/dining, outdoor entertaining space, water feature, deluxe tree house, landscaping, area for a garden, fireplace with ornamental logs and stainless appliances. This pristine home resides on a half-acre lot in an established neighborhood with little drive thru traffic. Pride of ownership is apparent throughout this entire home both in side and out. This lovely home is tastefully decorated with neutral colors throughout. Living room has adjustable custom-built ins and cozy fireplace. Kitchen is complete with breakfast area, bar and bay of windows that offer natural light and view of the backyard. Granite countertops and walk in pantry and formal dining room are just a few pluses. The master bedroom is spacious with windows to enjoy the view of the private backyard. Master bathroom has soaker tub, walk in shower, separate toilet area and large walk in closet. Double sinks and storage cabinet complete this space. As an added bonus to an already delightful home, the backyard is an entertaining dream. The covered patio has a beautiful view of flowering vines and plants and you can enjoy watching your kids or grandkids climb the meticulously built tree house. Even as an adult I could sit up there and read for hours while listening to the birds nearby. A few extras include: floored attic space for additional storage, workbench in the garage, fully fenced backyard, storm shelter, custom light fixtures, and laundry room with folding area. To appreciate the attention to detail and quality this property has to offer, you need to see it for yourself. Schedule a showing today.